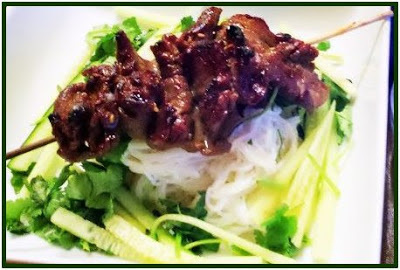 This is a very traditional Vietnamese dish. It's usually offered in restaurants with your choice of char grilled beef, pork, shrimp, egg roll, or some combo of those. This is a pretty low key version of it compared to what my mother would prepare with it. For this busy, working, soccer mom, the basic recipe will have to do for today. It's very refreshing with the herbs mixed in. You need 1lb. Top Sirloin Beef sliced thinly by your butcher or meat department. Marinate for 2 hours prior to cooking in fish sauce, sugar, garlic, and pepper. 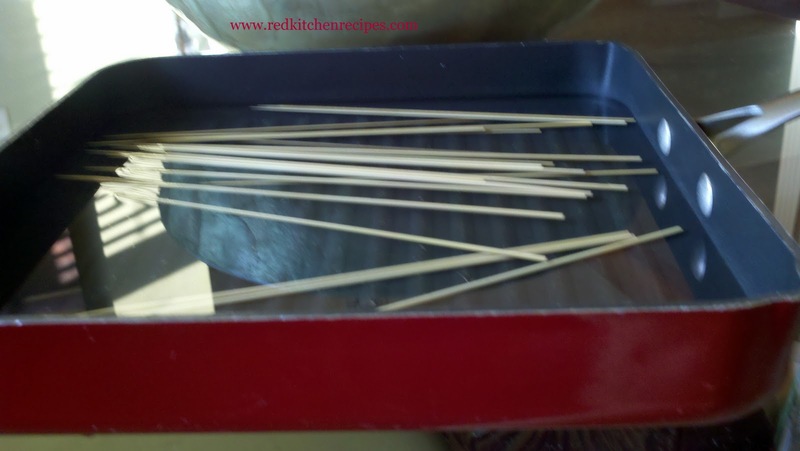 Soak skewers in hot water for 30 minutes. 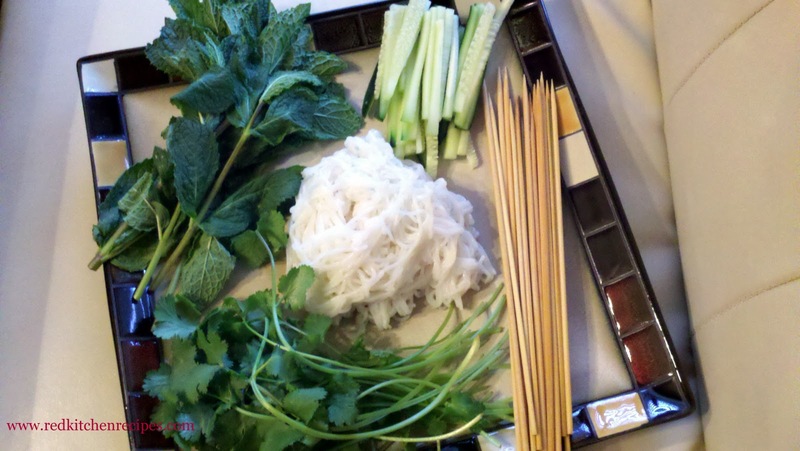 Prep the mint, cilantro, and cucumbers for garnish. Prepare the rice noodles per packaged instructions. Mince the garlic and chili pepper together, scrape into a bowl, and add the fish sauce. Add the water next, then stir the sugar in until it dissolves. Squeeze in half a lime, and mix slowly. If you like extra spice, add some chili garlic sauce.